Plastic end cap with standard female T / T2 thread. 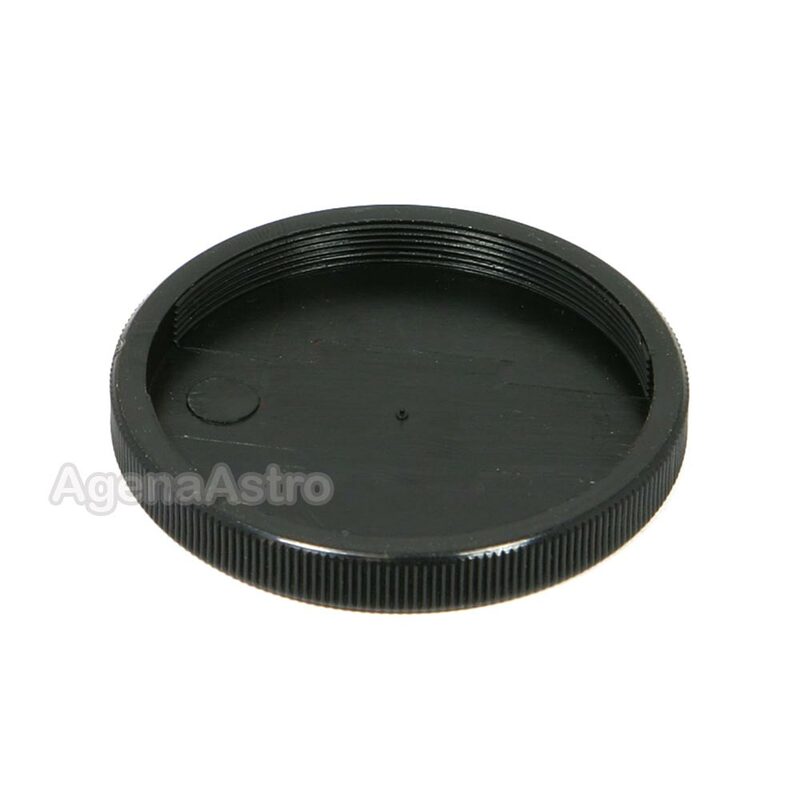 Useful to cover and protect telescopes, lenses, and accessories that have a male T thread. Total cap thickness is Xmm (0.X"). Female T / T2 thread specification of cap is M42x0.75. Knurled outside surface for better grip. More economical alternative to metal end caps. Excellent value for money to protect your optics. Nice product. I purchased both the male and female caps. They work great, and were delivered promptly. There's not much to say about this cap. It feels durable, lightweight and does the job. I bought a couple of them to cover all the male threads in my Off-Axis Guider when in storage. Works great and more economical than getting metal end caps.